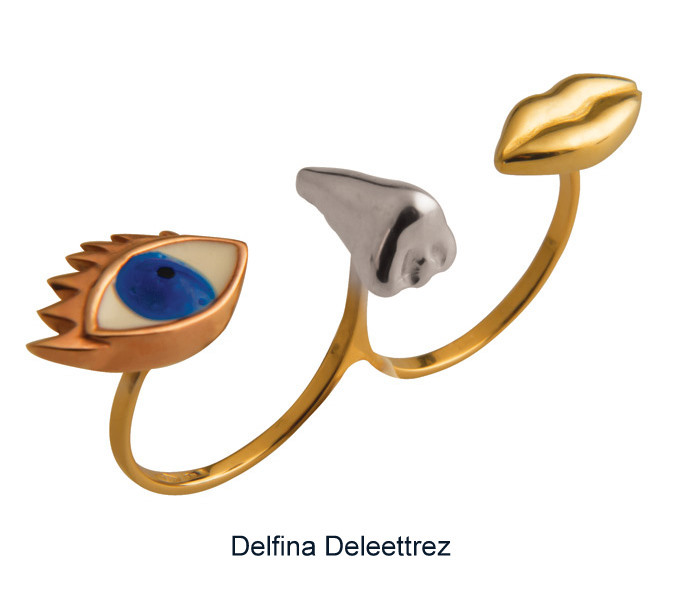 Feeling as if I may be late to this party, I’m looking at Delfina Delattrez bling. 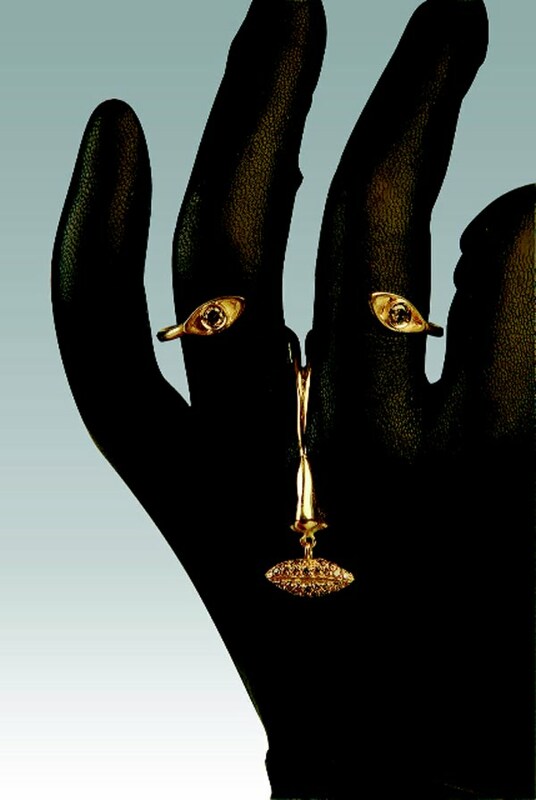 I love her rings … and I am so not a ring person … er, not a jewellery person at all really. Am I the only person whose burglar, having rifled through my jewellery drawers, left the whole lot where he found it? I’d like to think that choice reflects more poorly on my burglars’ style than my own, clearly. Anyways, back to Delfi (love that name and am giving it to a character in my novel right now) who has a Delfina Delattrez website with a bio that indicates a family (Fendi) history of success in style and fashion as well as info on retailers – in the UK, this includes CoutureLab, Matches and Dover Street Market – and lots more in videos, collections etc.. 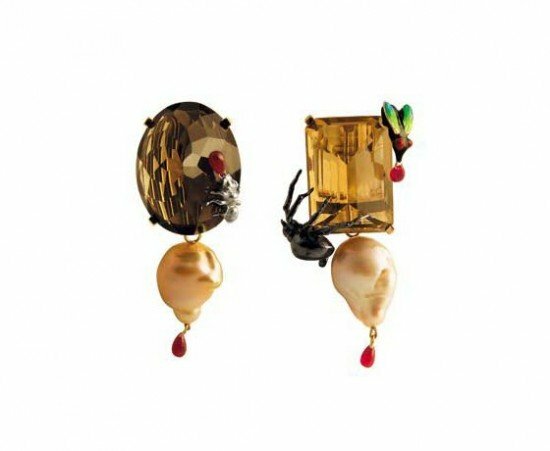 There is a reasonable amount available in the £200-£500 price point and, as ever, it’s easy to spend more. 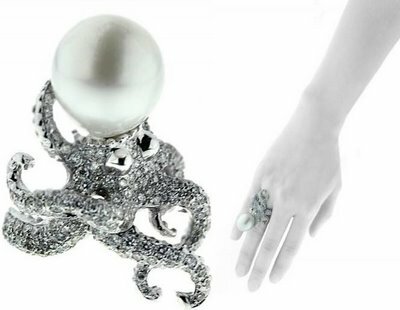 So, not cheap but not fine jewellery prices either and maybe worth it for sparklies of such style and fun. With my personal issues on size, fabric, colour and wheels restricting so much style potential in my life, the only spontaneous decisions I am able to make are with accessories. Some DD Bling might just find a corner to nestle into in my jewellery treasure chest.